As a contrast to my Weight(less) post yesterday, I thought it would be good to post something quite the opposite today. 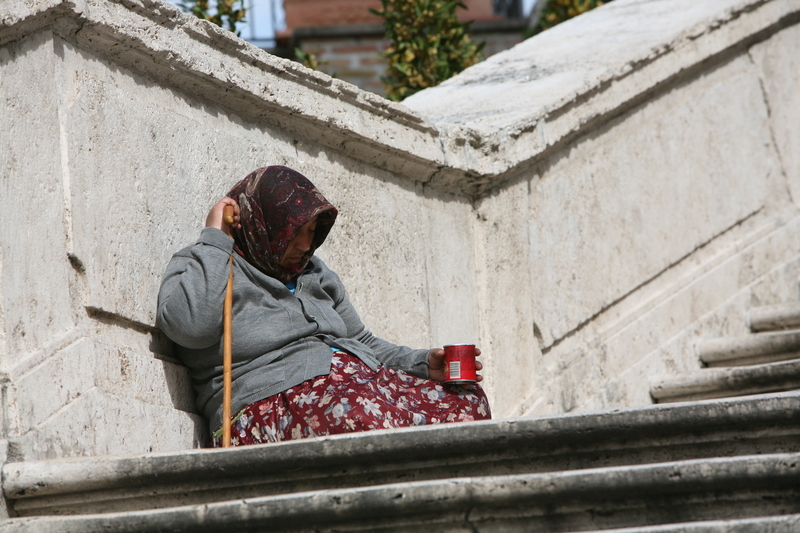 The feeling of heaviness and sadness surrounds this image I shot on the Spanish Steps in Rome. For all the times I have seen them it never gets easier. This entry was posted in Faith, Photography, Uncategorized and tagged daily challenge, photo challenge, photography, weekly photo challenge. Bookmark the permalink. What you and Jon do for the homeless is a testimony to the strength you get from and your belief in The Bible. You feed the hungry. You have clothed the naked. You are embellishing your heavenly crowns. Very powerful photo and a good, but sad, interpretation of the theme.